In space no one can hear you whinge. Limited edition of 5 units. Release on eBay early June. 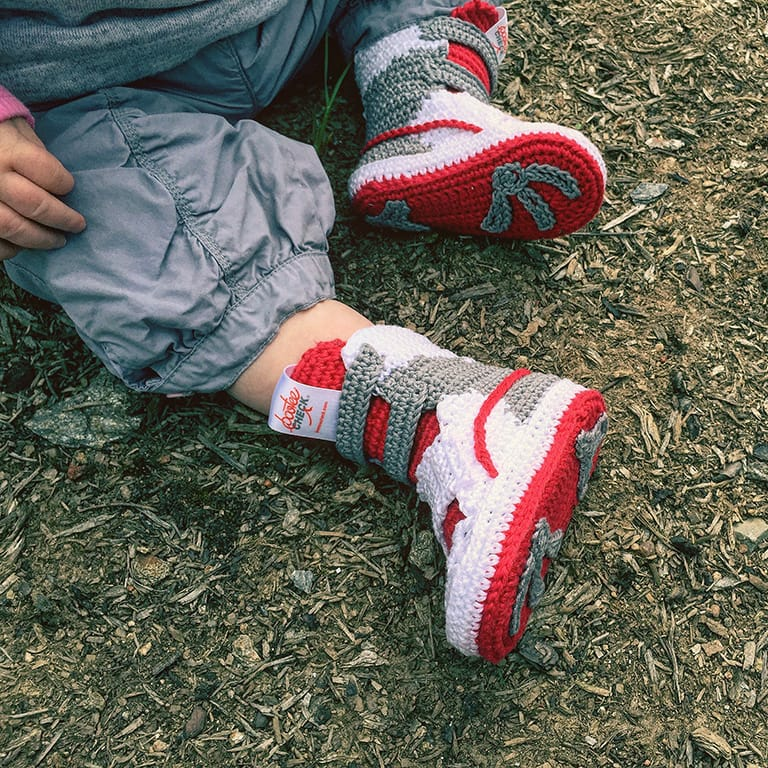 Bootee Check creates limited editions of baby booties size 3/6 month, inspired by legendary sneakers. 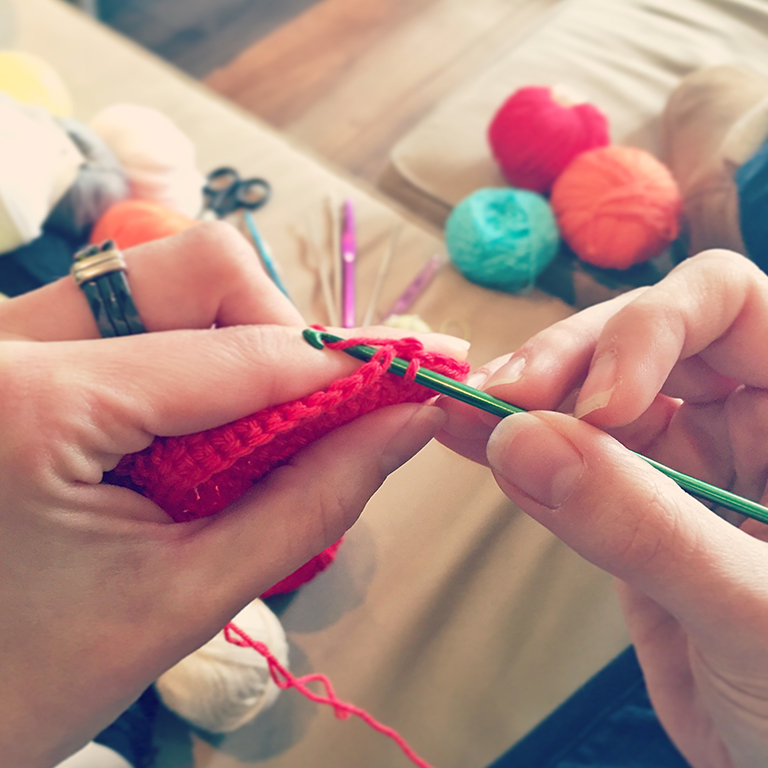 All the collections are crochet handmade with coton yarn and each model is created with a unique pattern. 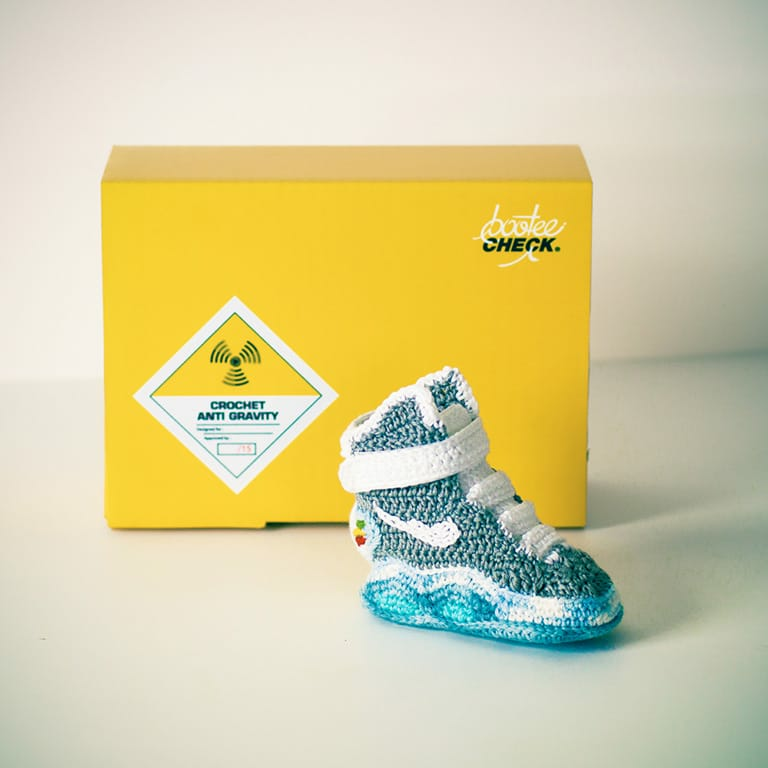 Baby booties are sold on eBay in auction,in a special packaging and a 3D printed stall.